DETROIT - President Donald Trump announced Monday that he will dissolve NAFTA now that Mexico and the United States have reached an agreement on a bilateral trade deal. While many more steps must happen — some that involve congress — before NAFTA can officially be dissolved, the president's decision starts the clock ticking on negotiations with Canada if it wants to be a part of any bilateral or trilateral replacement for NAFTA. And it also starts the clock ticking on the futures of many Canadian nurses working in the United States — as well as for the hospitals who employ them. Henry Ford Hospital in Detroit, Michigan, is one hospital that employs Canadian nurses — approximately 300, or 20 percent, of the hospital's 1500 staff RNs. "We would be crippled without our Canadian nurses," explained Gwen Gnam, chief of nursing at Henry Ford. 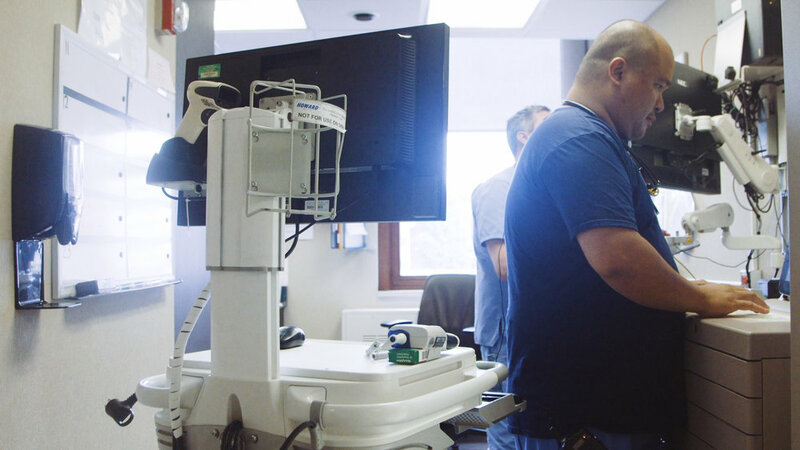 According to Gnam, Canadian nurses fill a hole the hospital cannot fill with American nurses, due to an ongoing nursing shortage in the United States. "They do job fairs over here all the time," explained Angela Gobel, 25, from Bell River, Ontario. “I feel like if they did have the Americans to fill the jobs, that they wouldn’t reach out for the Canadians." Gobel is a registered nurse at Beaumont hospital, just outside of Detroit. She estimates that around 20 percent of the nursing staff is from Canada, and says that on her night shift up to half the nurses can be Canadian at a time. If NAFTA were to dissolve without a solution to the TN visa program, Angie and other nurses Circa spoke with said their hospitals would become chaos. “If floors are short it is very hard to make sure patients are safe and they get the quality they deserve," said Gobel. "If all of a sudden Trump was like 'no, sorry' it would be chaotic in the hospital." President Trump can't just say 'no, sorry,' and dissolve NAFTA. He needs congress to approve any new trade deal. But the president has expressed an interest in changing the visa programs that exist within the current framework.